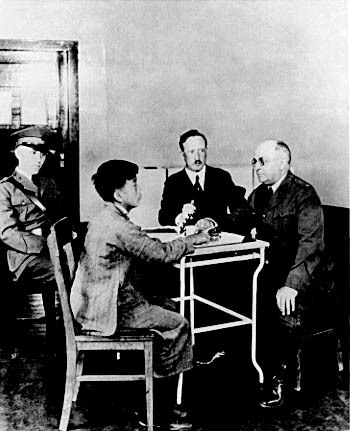 [Image: "Testing an Asian immigrant" at the Angel Island immigration station, San Francisco; courtesy of the National Library of Medicine]. 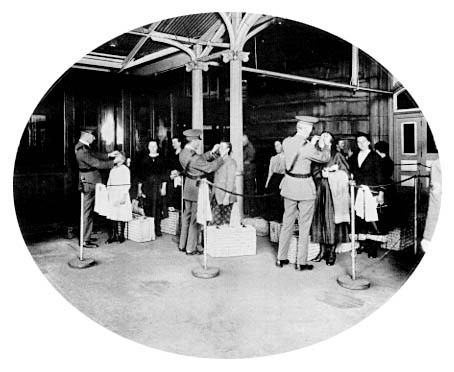 [Image: Medical inspection station at Ellis Island. 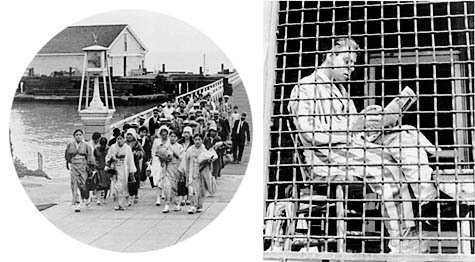 The 1891 U.S. immigration law called for the exclusion of "all idiots, insane persons, paupers or persons likely to become public charges, persons suffering from a loathsome or dangerous contagious disease," as well as criminals. 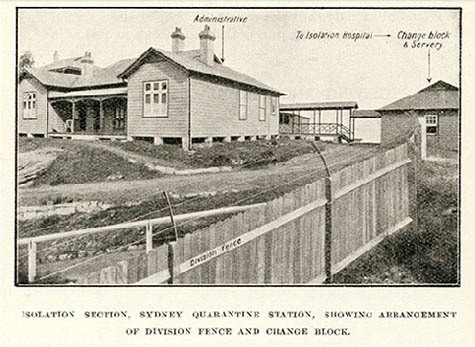 Courtesy of the National Library of Medicine]. 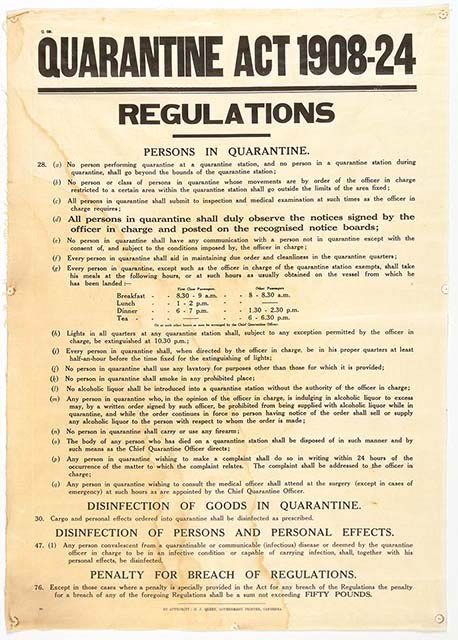 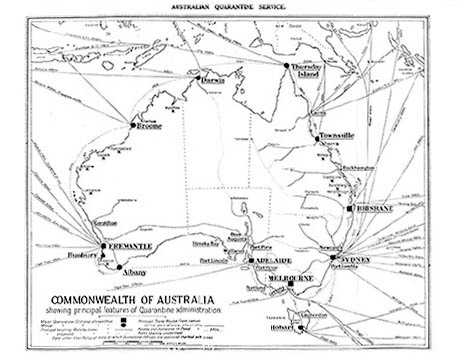 [Image: A "Quarantine Act" banner from the Torrens Island Quarantine Station collection, held by the National Museum of Australia, Canberra]. 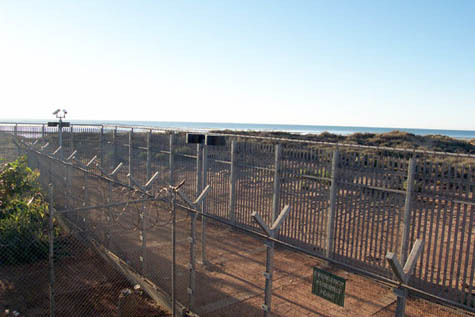 Something about the combination of the man in uniform the man with a Hitleresque stache and the interviewing "medical professional" really reminds me of a Nazi era concentration camp photo.